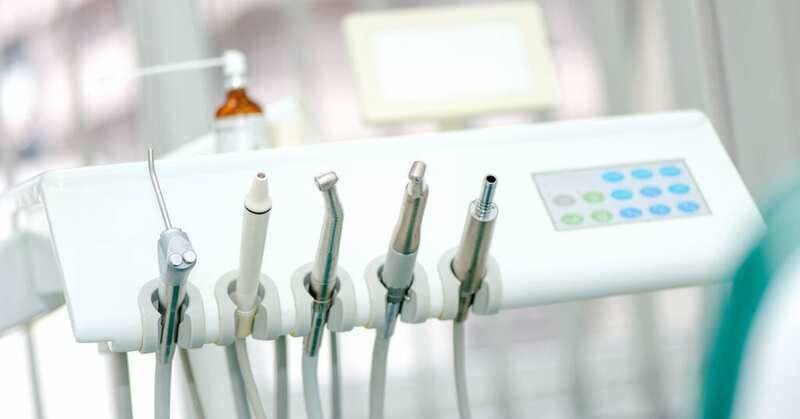 If you’re a dentist, you know that marketing is essential for growth. But as is the case with thousands of dental offices across the country, you might be doing it all wrong . . .
You might even be sabotaging your practice’s marketing plan without knowing it. Let’s look at five cardinal errors your dental office could be making and talk about what you shouldbe doing instead. Patients have so many different options when it comes to choosing a dentist, regardless of what city or state they live in. Unless you have the best staff, the best service, the best rates, andthe most convenient location (an unlikely combination), what’s really separating you from your competition? What’s stopping one patient from leaving you for another dental office? Even dentists who market their practices night and day could be missing out on a wave of new prospects. They might even belosingpatients . . . all because they haven’t branded their practices. Branding builds professionalism, familiarity, and most importantly, trust. If your practice’s branding isn’t in place, your marketing is going to struggle right off the bat. Speaking of branding, your website is often going to be the face of your practice’s brand. When done right, your website should generate organic traffic for your business. And when that happens, your visitors are going to be mostly new prospects – not the people who have had the benefit of stepping into your office, meeting you, and using your services. These new prospects have no existing knowledge of your practice, and you have to try to win them over. Not so easy, right? And most dentists are really messing this up. They neglect their websites and still expect them to be overflowing sources of new patients. Take a moment to run a quick Google search for dental offices in your area. I’m willing to bet that the majority of those sites are just hideous. They’re likely outdated, slow, unmanaged, or poorly developed. What about yourpractice’s site? If it’s old and slow, you might as well delete it! It’s not going to help you with your marketing. There’s a trap that dentists often fall into when marketing their dental offices; and it’s the trap of not defining a specific target audience. For example, did you know that women make more than 80% of U.S. health care decisions? That statistic alone should flip your current target audience on its head! Whoyou market to is just as important as what you market or how you market, because every dollar your dental office spends on marketing will either be an effective dollar or an ineffective dollar. All of those dollars that you spend marketing to people whoaren’tprospects produces wasted money. Take a look at the patients at your own practice. What’s your demographic? Who’s making the purchasing decisions? Then look at your industry’s demographic. All of these factors combined will help you narrow your target audience. We hear a lot about influencer marketing today; and while dentists can (and should) leverage influencer marketing as well, they actually have their own version of influencer marketing . . . If you provide a good dental experience, you want your patients to tell their friends and family about your practice. Many times, that’s exactly what they do! The problem is, you don’t capitalize on this. You let patient referrals happen when they happen, when you should be providing your patients with an incentive to refer you. Try offering your patients a significant discount on their next visit or plan for each new patient they’re able to bring to your dental office. This makes marketing easier for you, it grows your practice, and it also keeps patients motivated and excited about your brand. Marketing alone won’t grow your practice. Only consistentmarketing will do that. If you invest in an elaborate marketing campaign and it’s effective, you might see an influx of new patients. What’s the natural reaction, particularly if you become overwhelmed? It’s to take your foot off the gas and focus on serving your brand new patients. And guess what? Soon your marketing campaign is going to stop bringing in new patients and those new patients might slowly begin to leave. Before you know it, you’re back to square one and you need another miraculous marketing campaign. Inconsistency will ruin your marketing plan. Why? Because your practice isn’t actually growing at all. You’re just treading water. You need to be marketing all the time if you want to reallygrow your practice. You might not have time for all the marketing that’s required for your practice to grow. In fact, you don’t. That’s because marketing is a full-time job, and you’re not a marketer. You’re a dentist. We, on the other hand, aremarketers. When you choose to work with the filmMED team, you choose to work with marketing experts who have experience working with dental offices not too different from yours. Get in touch with us today. Don’t try to do all your dental marketing on your own!